Prince Harry and Meghan, the Duke and Duchess of Sussex, made a somber visit Tuesday to pay their respects after Friday's mosque shooting in New Zealand that left at least 50 people dead. 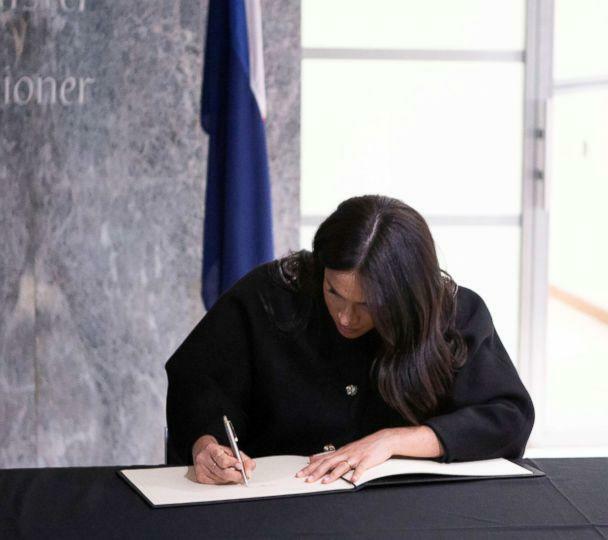 Harry and Meghan visited New Zealand House in London, where they signed a book of condolences for the victims of the attack in two mosques in Christchurch. "Our deepest condolences. 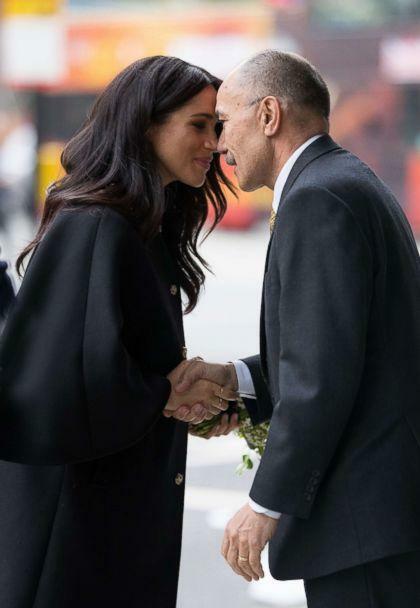 We are with you," Meghan wrote above the couple's signatures. Harry added the word "Arohanui," a Maori word that means much love. Harry and Meghan, who are expecting their first child next month, learned about the Maori culture during their visit to New Zealand last year. The couple each greeted officials at New Zealand House Tuesday with a hongi, a traditional Maori greeting performed by two people pressing their noses together. Meghan and Harry spent time in the New Zealand cities of Rotorua and Auckland during their 16-day tour of Australia, New Zealand, Fiji and Tonga. The couple joined with Prince William and Kate, the Duke and Duchess of Cambridge, to issue a statement Friday decrying the attack as "senseless." "Our hearts go out to the families and friends of the people who lost their lives in the devastating attack in Christchurch," the two couples wrote. "We have all been fortunate to spend time in Christchurch and have felt the warm, open-hearted and generous spirit that is core to its remarkable people." Meghan's appearance with Harry Tuesday came after she was believed to have started her maternity leave. She has told well-wishers that she is due in April. Meghan is expected to still hold private meetings before the baby's birth but does not have any upcoming official engagements scheduled.